Description This shows the continuing progress of the construction of Alumni Hall. The scaffolding in front may be the start of the bleachers. There is a temporary storage building in front – perhaps to store the bleachers before installation. The structure on the far right is part of the front entrance of the hall. 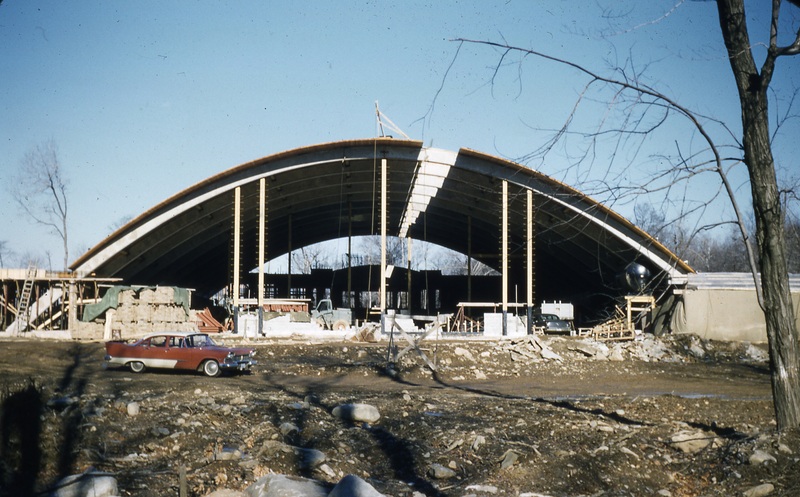 The RecPlex would later be built along the northeast side of the hall.